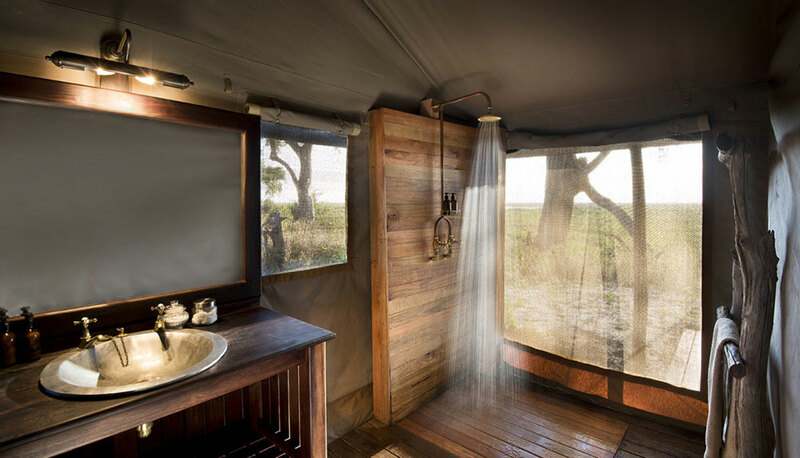 Located in Northern Botswana, Linyanti Bush Camp is a tented camp that combines traditional bush camping with modern comfort. The Linyanti marshes are an ideal spot for game viewing, as the marsh is the only source of water for miles during the dry winters, causing large numbers of animals to congregate in the area. 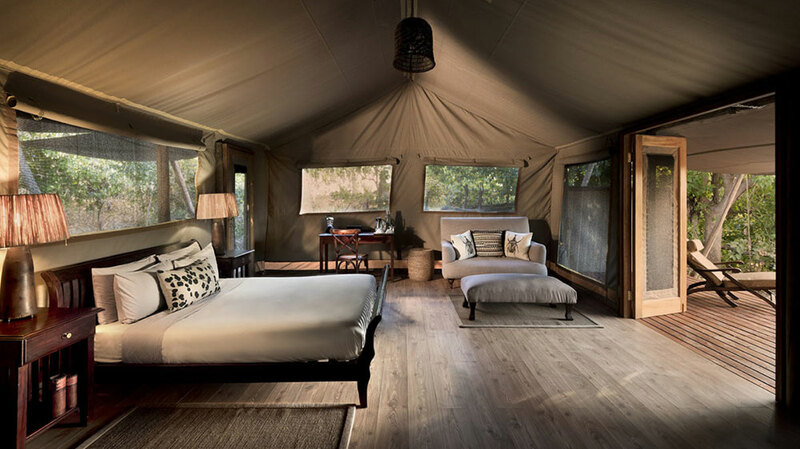 The camp is small and peaceful, emphasizing personal experiences and excellent rangers and trackers. 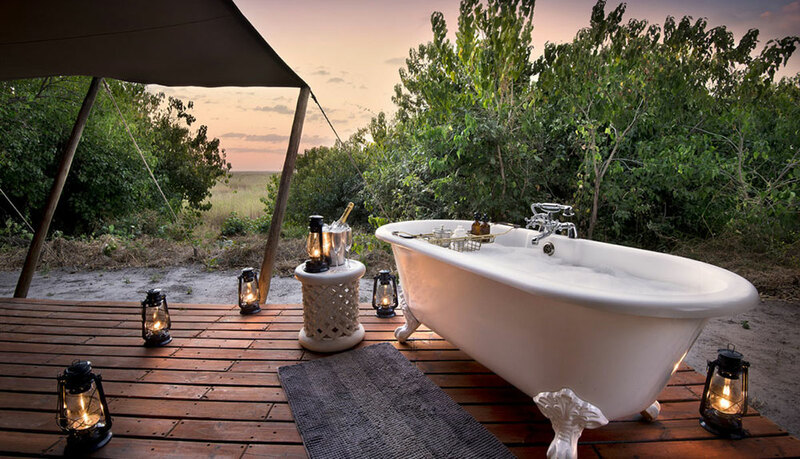 Spacious luxury tents house a maximum of 12 guests, making Linyanti a tranquil escape to the wilderness of the Chobe Enclave. Plenty of lion, rare wild dog, elephants, and leopard are in this area, and often wander right through the camp itself. Six spacious permanent tents, with en-suite bathrooms and other modern comforts, have a capacity of 12 guests. Each tent is comfortably decorated, with large beds and fixed showers. Meals at Linyanti are at a consistently high standard, and afternoon teas are served. 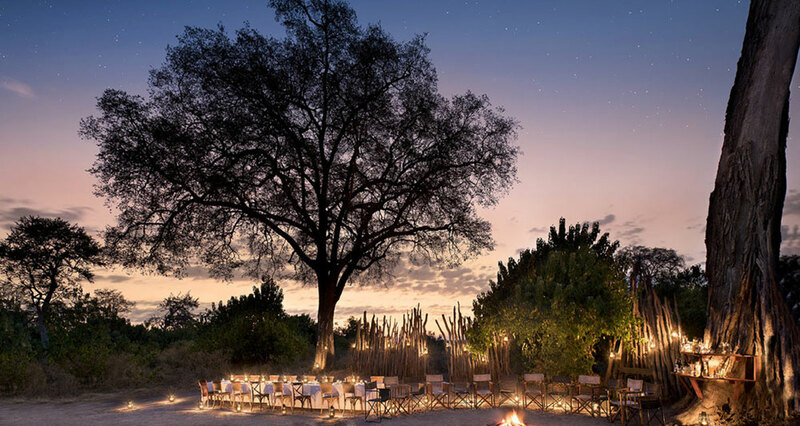 Sundowners and bush meals are a highlight at Linyanti, while the boma plays host to fantastic dinners under the stars. 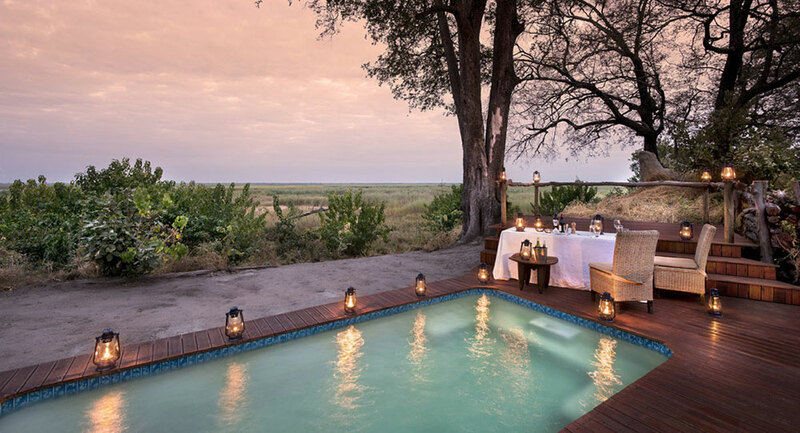 The sparkling pool and rustic deck, encircled by tree branches, is a peaceful spot to relax after a game drive. Service at Linyanti is always excellent, with a family-like atmosphere encouraged at meals and drinks. Bookings can also be combined with Bush Camp’s little sister, Linyanti Ebony. Game drives, bird watching, boating fishing, and mokoro safaris are available, and each is fitted to suit guest preferences. This flexibility makes Linyanti a unique and personal lodge. 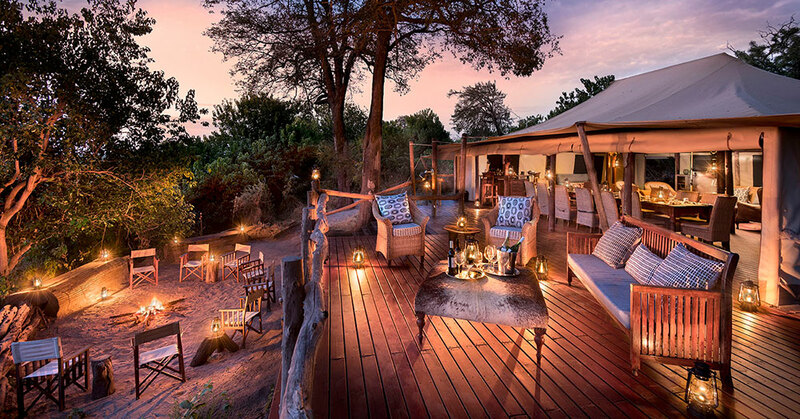 Want to see Linyanti Bush Camp as part of a trip? Enquire today to let us help build your holiday.